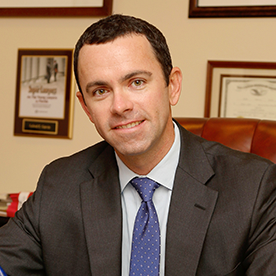 Florida Personal Injury and Accident Trial Attorneys The Garvin Law Firm is dedicated to providing personal attention to each and every one of our clients while maintaining the highest level of legal representation. A serious accident is a devastating and stressful event. People may be hurt in a wide range of situations in everyday life, extending from car accidents, boat accidents, and slip and falls to incidents involving medical malpractice and defective products. At the Garvin Law Firm, our father-son team has over 35 years of combined experience assisting people in Southwest Florida. Our Fort Myers personal injury lawyers are here to help victims and their loved ones seek compensation for all of the physical, emotional, and financial harm that they have endured. Regardless of the type of situation that you have been forced to face, we can ensure that you receive the client-focused, personalized, and compassionate legal counsel that you deserve. We will stand by your side throughout the process, advocating aggressively for your rights. Motor vehicle collisions are all too common and all too often life-changing. To recover compensation following a crash, a victim must show that the defendant failed to use the appropriate care behind the wheel. For example, drivers need to obey applicable traffic laws, such as yielding the right of way, obeying the speed limit, and refraining from driving while intoxicated. An injured person or their family would need to show that the car accident would not have happened if the defendant had been driving safely. Truck accidents are particularly severe and sometimes even lethal. Tractor-trailers, 18-wheelers, and other trucks weigh far more than a passenger car, so the impact of a crash is massive. Victims may be able to pursue damages not only from the driver but also from the driver’s employer through a legal doctrine called vicarious liability. This is based on the employment relationship between the driver and the trucking company. Compensation in car and truck accident cases may account for medical bills, lost income and earning capacity, pain and suffering, property damage, and future costs as well. Cycling is a popular hobby in a beautiful region like Southwest Florida, where thousands of miles of roadways and coastline offer scenic views. Unfortunately, bicyclists who are involved in collisions with cars, trucks, and other vehicles face the prospect of serious and often permanent injuries, or even death. Bicyclists must follow the same rules of the road as other motorists, but often they are injured through no fault of their own. If a motorist operates their vehicle carelessly, such as by failing to see the bicyclist, failing to yield the right of way, or texting while driving, a bicycle accident may happen in a matter of seconds. Our Fort Myers personal injury lawyers are here to advocate for victims in the wake of a crash, holding careless drivers accountable for their actions. According to the Florida Department of Transportation, the pedestrian injury rate in this state is roughly double the national average, making it the highest rate in the U.S. Due to the size and speed of motor vehicles, the injuries that result from a pedestrian accident may be devastating, including spinal cord injuries, traumatic brain injuries, broken bones, and even fatalities. If you have lost a loved one due to a fatal accident, the compassionate attorneys at the Garvin Law Firm can help you bring a wrongful death action. These cases are complex and, like other personal injury cases, must be filed within the statute of limitations. You should lose no time in protecting your rights. Since motorcyclists are exposed to the elements and lack the protection that a vehicle offers, motorcycle accidents often lead to severe injuries. Drivers may not give motorcyclists the respect that they are due, cutting them off at intersections or even showing road rage toward them. Insurers sometimes try to argue that a motorcyclist was at fault for a collision. Even if this was partly true, however, an injured rider may be able to get compensation. Florida’s pure comparative negligence rule means that a compensation award is proportionate to the defendant’s degree of fault for causing the accident. If a motorcyclist was 20 percent responsible, for example, they still would be able to receive 80 percent of their damages. As with pedestrian accidents, Florida experiences more boating accidents than any other state in the country. Many of these accidents result from a boater’s failure to heed nautical safety laws and the “rules of the road” when it comes to navigating a jet ski or another private watercraft. Florida does not require people to complete any boating education or licensing prior to getting behind the wheel of a boat, which creates serious dangers for other people on the water. While there are numerous safety precautions available to boaters, such as life jackets and kill switches that shut off the engine in emergencies, not every boater uses them. If you have been hurt in a boating accident, you may be able to file a negligence action against the individual responsible for your injuries. If you are able to establish that the defendant failed to exercise due care in operating their watercraft, you will be entitled to receive compensation for any expenses or losses arising from the accident. Slip and fall or trip and fall accidents can happen anywhere, including supermarkets, convenience stores, malls, hotels, restaurants, apartment complexes, and office buildings. In general, Florida landowners are required to ensure that their premises are in a safe condition for visitors. Property owners owe an especially high duty of care to visitors who are on the property for reasons that financially benefit the property owner, such as shopping or dining. Social guests are owed a slightly lower duty of care, but property owners still must protect them from any known dangerous conditions, either by repairing a hazard or by providing a warning. Proving that a property owner acted carelessly in a premises liability case often requires gathering detailed evidence about the condition of the property and whether or not the property owner knew or had reason to know that the dangerous condition existed. When our loved ones reach their twilight years, nursing homes can help us provide them with the comprehensive, around-the-clock care that they may require. Unfortunately, nursing homes also are plagued by many types of improper or even criminal conduct, such as medical negligence, emotional abuse, financial exploitation, or sexual assault. Due to the isolated nature of a nursing home, it may be difficult for an elderly resident to report the abuse, so their loved ones must be vigilant. A nursing home that is condoning or engaging in any type of elder abuse toward residents will be required to compensate the victim for their damages. Since employers are generally accountable for the actions of their employees, conduct on the part of a nursing home staff member likely will expose the facility to liability as well. Consumer products make our lives and jobs easier, but there are also unfortunate situations in which these products cause people to suffer devastating injuries. According to Florida law, a consumer may bring a product liability action against the manufacturer of any product that caused their harm. These claims are usually based on a strict liability theory. To recover compensation, the plaintiff must show that the product was designed or manufactured in an unreasonably dangerous manner or that the defendant failed to include appropriate warnings and instructions with the product. When it comes to medical negligence, Florida has specific rules and procedures that a plaintiff must follow in order to bring a lawsuit. As a result, it is wise to consult a medical malpractice lawyer at the outset of the process. 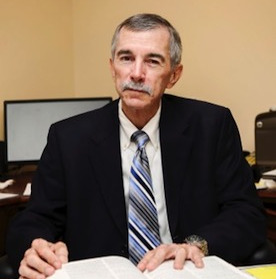 Pre-suit procedures include getting an affidavit from a medical expert who practices in the same field as the potential defendant, indicating that the potential defendant’s conduct fell below the applicable standard of care. The plaintiff must include a number of supporting documents with this affidavit and serve it on the potential defendant before filing the lawsuit. A client will be able to obtain damages for negligence by their attorney if certain elements are present. The plaintiff must prove that the defendant agreed to accept the client’s legal matter and neglected the duty that they owed to the client. Also, the breach of this duty must have been a direct and proximate cause of the financial losses or other harm that the client incurred. Examples of legal malpractice include failing to meet filing deadlines, failing to respond to reasonable inquiries from the client, failing to appear in court, or violating Florida’s rules of professional conduct. Losing a loved one as a result of a sudden and unexpected accident is a traumatic experience for the victim’s relatives. While no sum of money can ever truly make your family whole again, it can cover the costs associated with the burial of your loved one, as well as any medical expenses before their death. Certain surviving heirs also will be able to pursue compensation for their own loss of the companionship, support, and guidance of a family member who played a meaningful role in their lives. The legal system is not something that you should navigate on your own if you are dealing with painful injuries and mounting costs. At the Garvin Law Firm, we understand the challenges that you are facing, and we know how much each case means to a victim’s well-being. Our Fort Myers personal injury attorneys are here to handle all of the legal procedures on your behalf so that you can devote yourself to getting your life back on track. We also assist people in cities such as Cape Coral, Naples, Port Charlotte, and Key West, as well as other communities in Lee, Collier, Charlotte, and Monroe Counties. Call us at 1.800.977.7017 or contact us online for a free consultation if you need a personal injury or wrongful death lawyer. $1M Florida Personal Injury Lawsuit Damage Cap Proposed by Lawmakers Florida lawmakers are seeking to limit the amount of non-economic damages that can be recovered by plaintiffs in personal injury lawsuits. The selection of an attorney after a serious injury or death of a loved one is a very difficult decision that should not be made without spending some time researching the law firm you intend to hire. After narrowing down your potential selections, you should make sure you actually speak to the attorney who will be handling your case personally. You should also set up a time to meet with them personally; during an in person meeting you should be able to judge how they treat you and make you feel and whether or not their desire to help you in your claim is genuine. While nothing replaces the knowledge gained during an face to face meeting, we have recorded a few videos in our office and mock courtroom that could be of some help in this difficult decision.